Uh... Hi guys. Yeah. Another late night post. And its still me today. A big surprise huh? Well, everyone is busy with some stuff so I thought it'd be my chance to be a little bit more hardworking, you know? 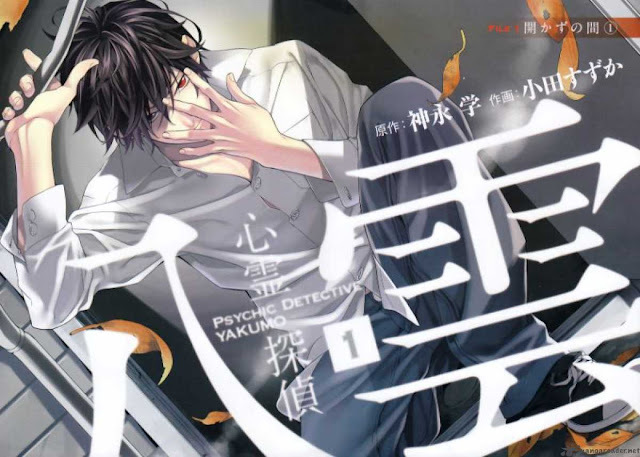 That aside, today I'll be sharing with you guys my thoughts on Shinrei Tantei Yakumo, a mystery anime that I'm sure none of you have heard of. 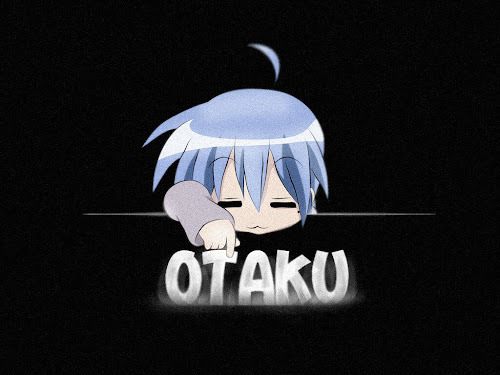 Yes this is the first time ever I'm writing on a mystery genre so don't expect much. Shinrei Tantei Yakumo tells you the story of an anti-social boy, Yakumo who has the ability to see ghosts and communicate with them (though he has, on occasions lied about this for totally good reasons). The story starts off with Yakumo questioning what exactly is the true nature of a person's soul and as the anime progresses, he comes closer and closer to that question itself. Oh and did I tell you he has heterochromic eyes? Like in the picture below, his red eye is the one that enables him to see and communicate with spirits but that's about it. He can't do exorcisms or have divine powers and all that. He really has that negative look to him I guess but when he smiles its actually cute. 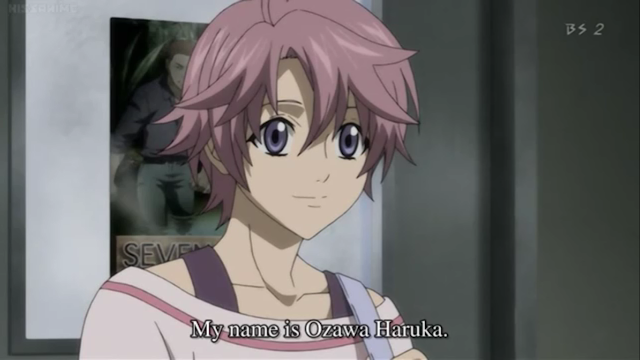 Ozawa Haruka is like the turning point to Yakumo (yeah well haven't it always been that way?) changing from an anti-social guy into a... uh... more accepting of other people's company. Haruka isn't really the happy-go-lucky type of girl (even if her hair and her outfit does spell that) but instead is a down to Earth girl who is a little bit on the naive side just enough to get her into every single trouble that needs the saving grace of Yakumo. I wouldn't blame him for saying, "so what kind of trouble did you bring here today?" every single time she enters the club room. Yeah well probably not the happy-go-lucky look but still at first I thought she'd be a little bit happier than how she is. Now you're all wondering why I decided to focus on these two tags. Its because it can be a bit misleading. I'm pretty sure the when you guys saw the mystery tag you're expecting Detective Conan level investigations and deductions and all those closed room murders. There is none of that whatsoever. Yakumo solves mysteries regarding mystical spirits and ghosts and those things can just walk right out of a closed room anyways. 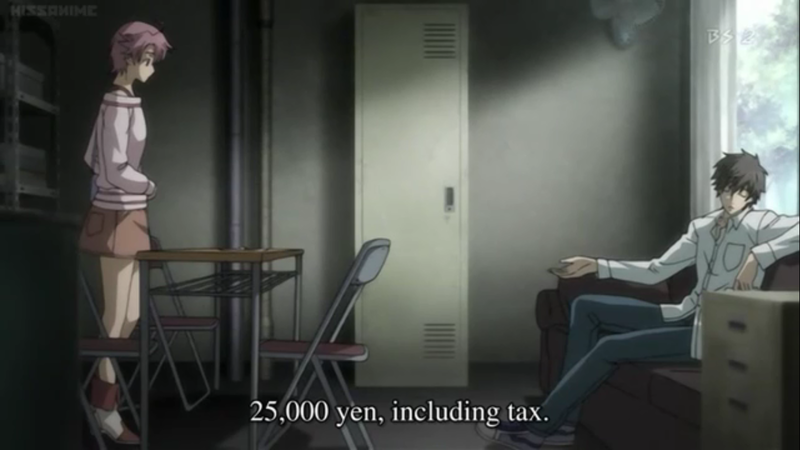 There are an adequate amount of the mystery anime niche in Shinrei Tantei Yakumo (finding evidence and checking the crime scene and all that) but not too extensive. So don't get your hopes up too much. About the shoujo tag, yeah there are a few hints of shoujo elements here and there and feelings of romance building up between Haruka and Yakumo but it is not THAT apparent. The anime is just 13-episodes in total so they didn't make much progress. 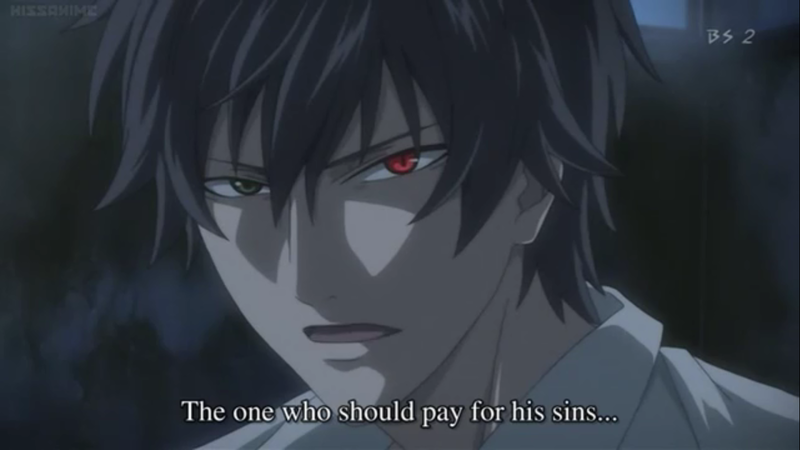 Again, there are shoujo elements but really, most of the anime just cover on the supernatural beings and on how Yakumo deals with them using his red eye. First of all, I would like to say that what I am going to say here can be found out as you watch episode 1 of the anime so I wouldn't call it a spoiler. So as I said earlier when I introduced Yakumo, he's searching for the meaning of a person's soul. 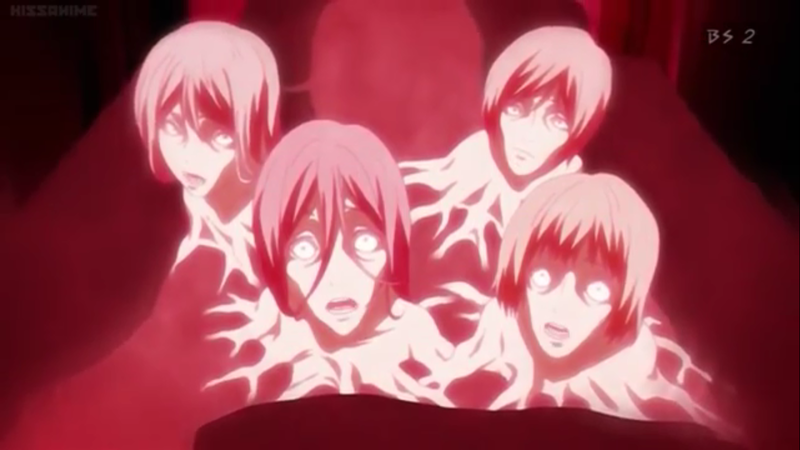 The antagonist of this anime seems to think that it is darkness (or in layman's term, negative stuff). The anime is smart enough to link together some of the different cases that Yakumo worked on back to the antagonist and in the end, have them both go at it with each other to prove who is in the right. I really want to say more about this but yeah, that'd be saying too much. 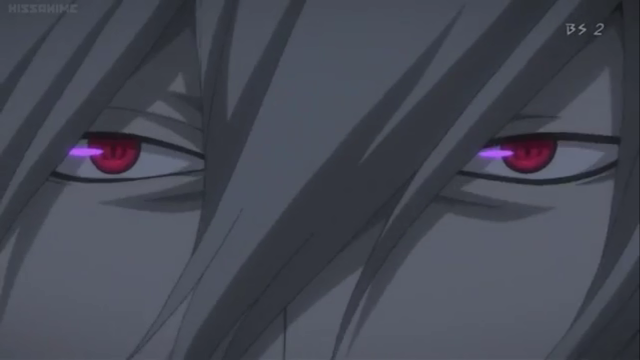 One thing I could say would be that the antagonist have a pair of red eyes and the same abilities as Yakumo. He's... also a bit like how Sephiroth is to Cloud. You know, overly attached and too fanatical in his actions just to prove his points to the main character? Yeah, exactly that. See. A pair of em. Reminded me of those vampires in Vampire Night. Sigh. The anime itself is a bit of an underdog and I'm sure many of you wouldn't want to watch it due to the quality of the anime and how there are other more interesting ones recently out like KonoSuba and that new Gundam, but for supernatural and mystery fans who got tricked by the notion that spirit detective Yusuke is an actual detective, this one is exactly for you (no he's not a detective. More like a loose cannon cop if you ask me). P/S: The opening song isn't as catchy as Detective Conan's but it did get stuck in my head for a while so there's that (because damn that intro soundtrack in Detective Conan is friggin catchy, even now).